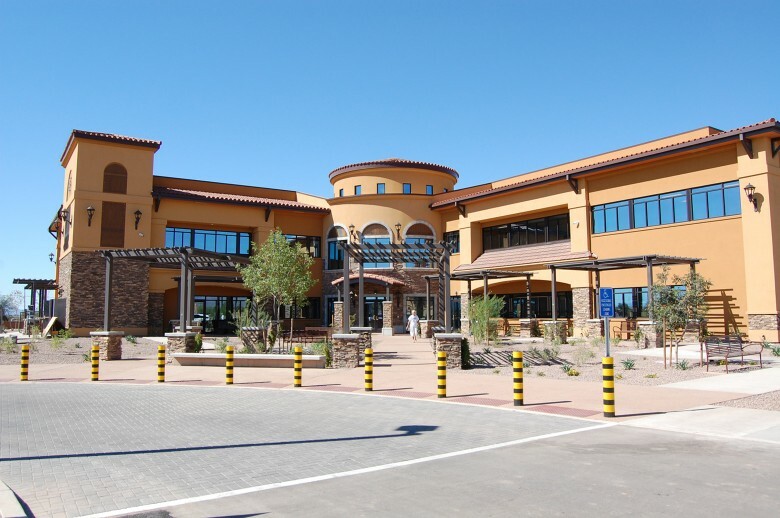 Marana Health Systems provides clinical and mental health services to the underserved residents of this rural community. The 30,500 SF Counseling and Wellness Center provides space for psychological counseling, psychiatry, substance abuse prevention and treatment, and group therapy. A drop-in center provides diversion activities to those working to resolve addictive behaviors. The Center provides space for alternative treatment modalities including massage, acupuncture, and meditation. Outdoor community spaces for stress management include a labyrinth, talking circle, and a children’s play therapy area.